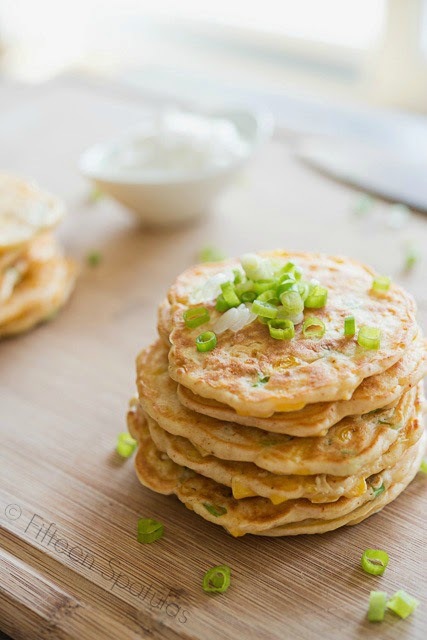 I have a year-round obsession with corn and am loving these corn cakes as a fun side dish for summer. 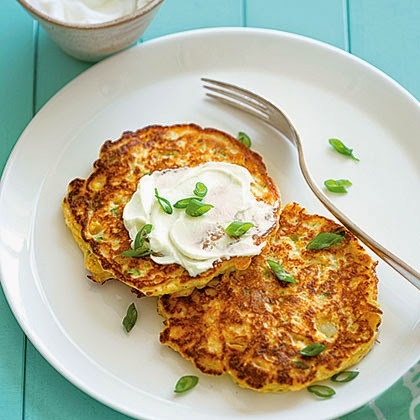 They're like sneaking in a little breakfast in with dinner! 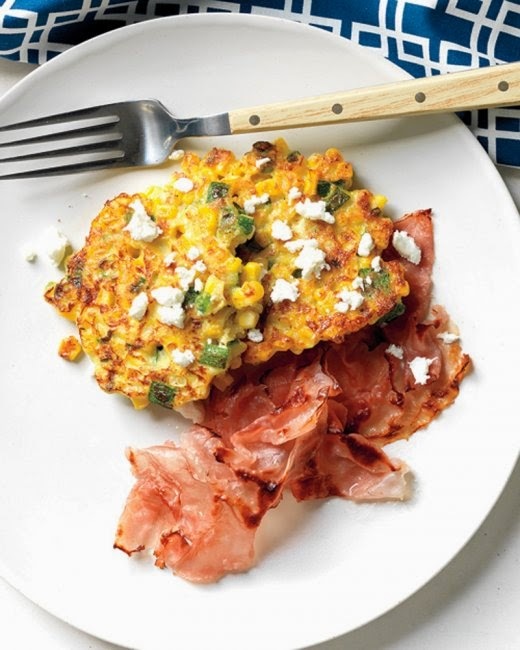 I love the endless corn cake combinations one can create and the dollop of greek yogurt or sour cream is the icing on the (corn) cake. Sharing some great recipes from some of my favorite sites - enjoy!